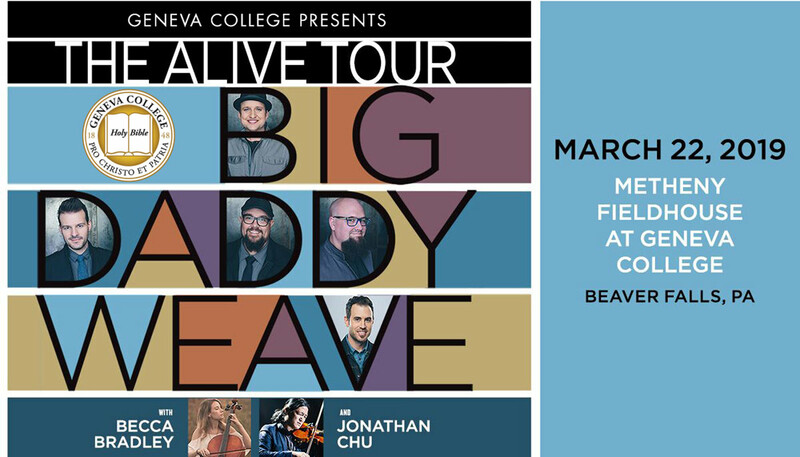 Live at Metheny Fieldhouse, Beaver Falls, PA.
For Geneva College alumni, parents, faculty, staff and friends! *For current Geneva students only, a limited number of further discounted tickets are available for purchase for $12 each at the Center for Student Engagement office (limit 4 per student). Online registration is now closed. Tickets are available at the door on the day of the event at the regular price of $20. Tickets available by pickup only at will call or the Geneva College Events office after December 10 prior to the event. For more information, call 724-847-6540 or email events@geneva.edu.